Google Scholar fails to find most of the important material. The specialist databases are the key - and this is how to find them. ATLA - the American Theological Library Association database is still the best source for English Biblical Studies and Theology, indexing books and about 500 journals, some back as far as 1949. If you or your institution can't afford it, the following are very good, and free. Index theologicus (IxTheo) (Tübingen library). Indexes 600 journals including many non-English titles not included in ATLA. This has recently become a free online service being previously a subscription CD. and links to another 127 journals as well as information about the 400 titles we shelve. We offer a photocopy service for any periodicals and books we hold. This attempts to lists all journals with free internet access in all academic subjects. 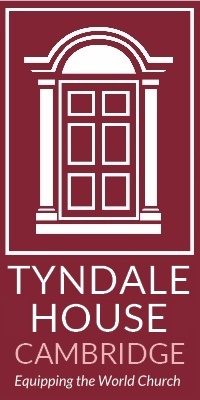 Tyndale is better for Biblical Studies and Theology, but it has 2500 titles in other subjects! OAIster collects the information which other databases forgot. Indexes collections of documents, pictures, and archives from a huge number of sources. If you need the private letters of an historic missionary, you should look here. If it is here, it is worth reading. If it isn't, quick links to other libraries will find it for you. Records are formatted for pasting straight into your footnotes or bibliography. The links to online reviews and online copies can save you days. Library of Congress Catalogue - biggest English-language library catalogue in the world. though often the titles and abstracts can be searched for free. UMI / ProQuest has collected theses from the USA and some other countries. 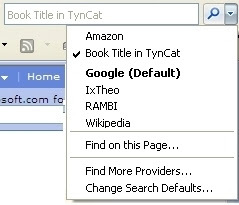 search engine you like, or have a long drop-down list from which to select. "Find more providers". On the right you can "create your own". then click on "Install" and on "Add Provider"
Hint: Don't type in the whole title - only a couple of significant words.